The Sault Metal Scene: Abhorrent Forest - "Ethereal" Review!! It's now time for our 100th monthly CD review at The Sault Metal Scene, so thanks to everyone for their support, and here's to a hundred more and beyond! 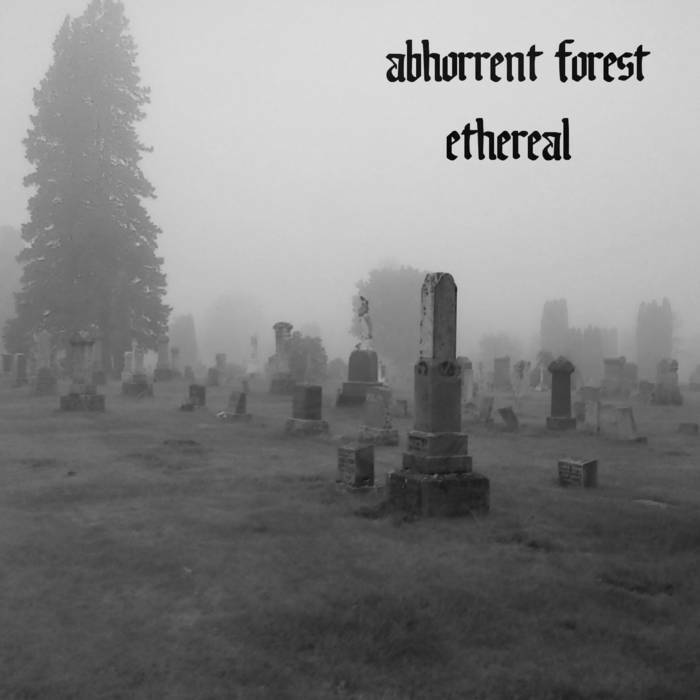 This month, we're looking at local instrumental black metal solo project Abhorrent Forest's second digital EP "Ethereal" which was independently released on September 18th via their Bandcamp page, albeit very abruptly without prior teasers, much like their debut, January's "The End of Life". Solely featuring project leader Will "Old Man Wyrn" Tholberg (or just "Wyrn") on all tracks and instruments, "Ethereal" is on sale for $10, rather than the "name your price" model of it's predecessor, and while the entire EP can be streamed for free there as well, consider buying it to support Abhorrent Forest's work! Featuring 5 tracks running for 37 minutes, let's kick off our review of "Ethereal" with the first song, "Halls of the Awaken"! 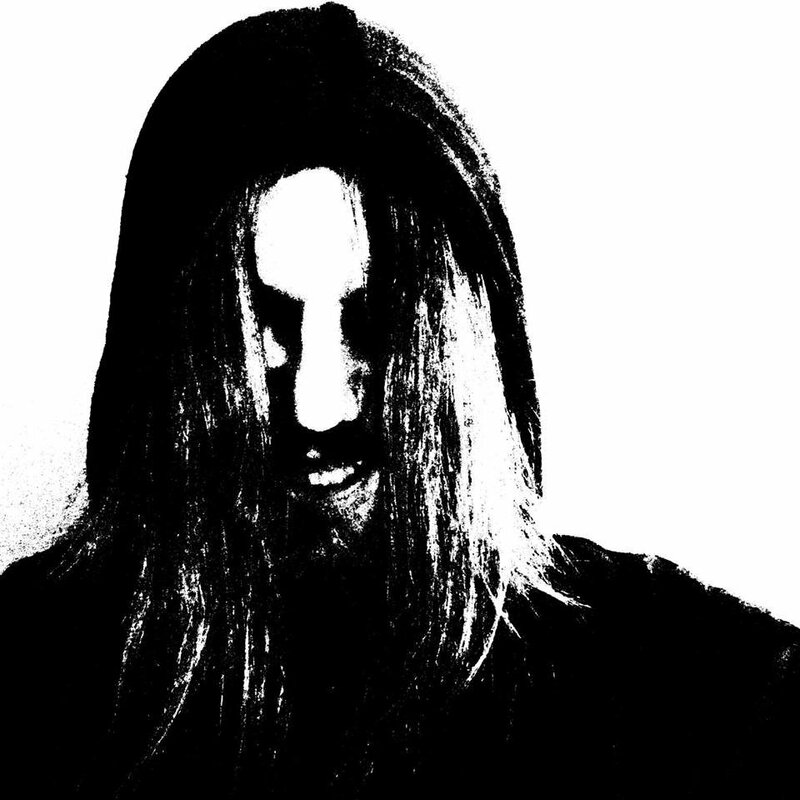 The change in genre and style from "The End of Life" is apparent quickly on this song, as the "Ethereal" EP puts black metal aside for a dark, ambient, droning, and yes, ethereal sound. This track is fairly monotonous, but it has an eerie calm to it that one could imagine being the background noise in a horror movie's graveyard scene, fittingly enough given the album art. The song doesn't get off course at all, and the ominous overtones work well, but the droning monotone won't be for everyone. Second is "Ghosts", which is the EP's shortest song, but in spite of that, this song has some more sonic variance, with effects giving the impression of spirits moving about over top of the low ominous instrumentation. Assuming this was what Wyrn was going for, I appreciate that it comes across like it could be real and not a bad B-movie, if that makes any sense! Again, this won't be everyone's cup of tea, but it shakes things up enough to keep things interesting. The next track is "Serpent Lair", and like on "Ghosts", the title seems to be alluded to in the song via some instrumentation that does indeed sound like hissing snakes! This song has an emptier ambiance and keeps the music, as it were, to a minimum for effects, including a high pitched siren-esque tone, and what sounds like waves or perhaps slowed down cymbals. If you ask me, this comes across more like the lair of serpent ghosts! Like on the opener, this song runs for 7 minutes, and you'll have heard everything sooner than that, but it's effective for what it is! That's followed by "The Crying Angel", which is reminiscent of "Halls of the Awaken" but with a louder and not quite as subtle in how it's performed, if that makes any sense. There seems to be some ethereal vocal effects layered in that could be construed as an angel crying, and it has a fuller sound than "Serpent Lair", but there's not a whole lot to add that wasn't heard on the opening songs. The EP closes with "Torment", which runs for an EP-long 13:13 (that can't be on purpose, can it?) Related in name only to the non-album Gates of Winter original, this song is another lengthy ambient instrumental, which is quieter and more drawn out than anything except "Serpent Lair", though it does feel like a compliment to the opening song as a way to come full circle. The song does break in tone for the final 3 minutes to go even lower and more ominous before building up for a dramatic finale, which works well, but for fans who found the 7 minute songs to be too long... prepare yourself! So, what are my final thoughts on Abhorrent Forest's second EP? Overall, while I do prefer "The End of Life", this album's sound serves it's purpose, and they showcase Wyrn's range as a musician! This very much reminds me of Telephone & Address' "Rust Orchid" album, which similarly dropped that solo project's established sound for ambient instrumentals, but "Ethereal" takes things to even darker and more ominous territory, and while I doubt it was released as such, these songs would be great as backing music for a haunted house or a Halloween gathering of some kind. This is a tough album to review, as ("Rust Orchid" aside) this isn't something I hear a lot of from local bands, but Wyrn crafted these songs to suit their goals and sound, and he did a great job, with most songs evoking their titles! My big complaint is that many songs go on too long without a change in tempo or instrumentation, which suits the droning nature, but is repetitive for fans not conditioned to it. Abhorrent Forest clearly aren't afraid to try new things, and while this sound isn't my cup of tea for casual listening, give "Ethereal" a look for some dark and ominous ambience, and it'll be interesting to hear what Wyrn has in store next! I hope you guys liked this month's CD review, but what's coming in November to kick off our next 100 reviews? At the moment, I'm not sure, but here's what we can say. A new metal, hard rock, or punk album will of course take precedence, so look for our next "Where Are The New Albums?" post on or around Thursday for potential review subjects that are in the works locally! If nothing new comes out that we can obtain next month, we'll dip into the archives, and while nothing's confirmed yet, I will tie a review in with a band or artist playing locally next month if at all possible! Due to our six month anti-bias buffer, we won't be reviewing a Treble Charger or Haggith album next month, but both are very possible for 2018! And yes, The Din's final studio album "Suburban Dream" is being reviewed on the site, but as we just reviewed "The Din Does Laundry" in June (not expecting the second album being released so suddenly), I have to hold our review of the new album until next month, but I will review it as early in the month as I can manage! That's all for today, but stay tuned for more news and updates on the site soon! Thanks everyone!